When David T. first came to our office, he was experiencing severe medical problems. 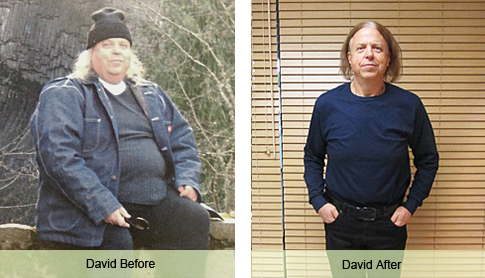 If left on the same path of health much longer, David could have faced serious health complications like heart attack, stroke, diabetes or worse. David was on the brink of severe health decline, but with Dr. Kerendian’s ongoing guidance and support was able to turn around and begin making steady improvements in his health and wellbeing. When David first met with Dr. Kerendian his blood sugar levels put him at a heightened risk for type-2 diabetes. During the course of his medical weight loss program with Dr. Kerendian, David’s blood sugar levels decreased by more than 200 percent. Thanks to the support of Dr. Kerendian, David is now living a much healthier lifestyle and has greatly reduced his risk of developing obesity related diseases.